Masjed Soleiman, in Iran, is where the discovery of oil led to the formation of the Anglo-Persian Oil Company. The Anglo-Persian Oil Company (APOC) was founded in 1908, following the discovery of a large oil field in Masjed Soleiman, Iran. It was the first company using the oil reserves of the Middle East. APOC was renamed Anglo-Iranian Oil Company (AIOC) in 1935, and eventually became the British Petroleum Company (BP) in 1954, as one root of the BP Company today. For half a century, profit from the company flowed into European hands. Not only did the British government own a majority share but revenue that Iran did receive was used to re-pay debts owed to European creditors, which earlier shahs had incurred. Other cheap concessions in Iran were also obtained by Europeans, to their benefit and Iran's cost. The company, too, reneged on agreements to train Iranian technicians and engineers. It paid Iranians considerably less than foreigners and accommodated Iranian workers in sub-standard housing. The 1953 Iranian coup d'état, which supported the reigning Shah and removed an elected Prime Minister, was sparked by the company's nationalization. After the coup, a new contract was negotiated giving Iran a 50 percent share. Iran's subsequent alienation from the West (beginning in 1979), which owes much to how the Anglo-Iranian Oil Company profited from exploiting Iran's oil over many years, can be attributed in part to the irresponsible way that a "game" was played in other people's territory, with little thought to what the consequences might be. The degree to which the prosperity of former colonial powers was gained at the cost of others is an issue that a world community of nations committed to justice and a fairer distribution of resources needs to address. In 1901 William Knox D'Arcy, a millionaire London socialite, negotiated an oil concession]] with the Shah Mozzafar al-Din Shah Qajar of Persia. The last Shah describes D'Arcy as having a "taste for adventure." His fortune came from a gold mine in Australia. He assumed exclusive rights to prospect for oil for 60 years in a vast tract of territory including most of Iran. In exchange, the Shah received £20,000, an equal amount in shares of D'Arcy's company, and a promise of 16 percent of future profits. Mohammad Reza Pahlavi comments that although D'Arcy never "set foot in Persia and probably never saw a barrel of oil in his life," his name was "destined from that time to take its place in the history of petroleum." D'Arcy hired George Reynolds to do the prospecting in the Iranian desert. Conditions were extremely harsh: "Small pox raged, bandits and warlords ruled, water was all but unavailable, and temperatures often soared past 50°C." After several years of prospecting, D'Arcy's fortune dwindled away and he was forced to sell most of his rights to a Glasgow-based syndicate, the Burmah Oil Company." By 1908, having sunk more than £500,000 into their Persian venture and found no oil, D'Arcy and Burmah decided to abandon exploration in Iran. In early May 1908, they sent Reynolds a telegram telling him that they had run out of money and ordering him to "cease work, dismiss the staff, dismantle anything worth the cost of transporting to the coast for re-shipment, and come home." Reynolds delayed following these orders and in a stroke of luck, struck oil shortly after on May 26, 1908. Burmah Oil Company Ltd. created the Anglo-Persian Oil Company (APOC) as a subsidiary and also sold shares to the public. Volume production of Persian oil products eventually started in 1913 from a refinery built at Abadan, for its first 50 years the largest oil refinery in the world. The British government, at the impetus of a middle-aged Winston Churchill, First Lord of the Admiralty, partly nationalized the company in 1913 in order to secure British-controlled oil supplies for its ships. In exchange the British government injected £2m of new capital into the company, acquired a controlling interest and became de-facto the hidden power behind the oil company. 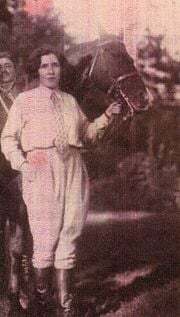 APOC took a 50 percent share in a new Turkish Petroleum Company organized in 1912 by Calouste Gulbenkian to explore and develop oil resources in the Ottoman Empire. After a hiatus caused by World War I, it reformed and struck an immense gusher at Kirkuk, Iraq, in 1927, renaming itself the Iraq Petroleum Company. By this period, Iranian popular opposition to the D'Arcy oil concession and royalty terms whereby Iran only received 16 percent of net profits was widespread. Since industrial development and planning, as well as other fundamental reforms were predicated on oil revenues, the government's lack of control over the oil industry served to accentuate the Iranian government's misgivings regarding the manner in which APOC conducted its affairs in Iran. Such a pervasive atmosphere of dissatisfaction seemed to suggest that a radical revision of the concession terms would be possible. Moreover, owing to the introduction of reforms that improved fiscal order in Iran, APOC's past practice of cutting off advances in oil royalties when its demands were not met had lost much of its sting. Not only was Iran's oil controlled by the British but almost all services were run by various European powers. Between them, the British and Russian ambassadors chose who would be candidates for parliament. The Qajar dynasty had been forced by debt to sell off concessions, so the banks, the post office, the telegraph service, the police, the customs were all in foreign hands. Even the currency was printed outside the country. This created a great deal of resentment among Iranians. The founder of the Pahlavi dynasty, Reza Shah, promised to assert independence from foreign influence and to take back control of Iran's assets and services. He thus set about renegotiating the oil concession. What little revenue Iran did receive went to pay off Qajar debts. The attempt to revise the terms of the oil concession on a more favorable basis for Iran led to protracted negotiations that took place in Tehran, Lausanne, London and Paris between Abdolhossein Teymourtash, Iran's Minister of Court from 1925-32 and its nominal Minister of Foreign Affairs, and the Chairman of APOC, John Cadman, 1st Baron Cadman, spanning the years from 1928 to 1932. The overarching argument for revisiting the terms of the D'Arcy Agreement on the Iranian side was that its national wealth was being squandered by a concession that was granted in 1901 by a previous non-constitutional government forced to agree to inequitable terms under duress. In order to buttress his position in talks with the British, Teymourtash retained the expertise of French and Swiss oil experts. Iran demanded a revision of the terms whereby Iran would be granted 25 percent of APOC's total shares. To counter British objections, Teymourtash would state that "if this had been a new concession, the Persian Government would have insisted not on 25 percent but on a 50-50 basis." Teymourtash also asked for a minimum guaranteed interest of 12.5 percent on dividends from the shares of the company, plus 2s per ton of oil produced. In addition, he specified that the company was to reduce the existing area of the concession. The intent behind reducing the area of the concession was to push APOC operations to the southwest of the country so as to make it possible for Iran to approach and lure non-British oil companies to develop oilfields on more generous terms in areas not part of APOC's area of concession. Apart from demanding a more equitable share of the profits of the Company, an issue that did not escape Teymourtash's attention was that that the flow of transactions between APOC and its various subsidiaries deprived Iran of gaining an accurate and reliable appreciation of APOC's full profits. As such, he demanded that the company register itself in Tehran as well as London, and the exclusive rights of transportation of the oil be canceled. In fact in the midst of the negotiations in 1930, the Iranian Majles approved a bill whereby APOC was required to pay a 4 percent tax on its prospective profits earned in Iran. In the face of British prevarication, Iran decided to demonstrate Iranian misgivings by upping the ante. Apart from encouraging the press to draft editorials criticizing the terms of the D'Arcy concession, a delegation consisting of Reza Shah and other political notables and journalists was dispatched to the close vicinity of the oilfields to inaugurate a newly constructed road, with instructions that they refrain from visiting the oil installation in an explicit show of protest. However, while Teymourtash likely believed that after four years of exhaustive and detailed discussions, he had succeeded in navigating the negotiations on the road to a conclusive end; the latest negotiations in London were to prove nothing more than a cul de sac. Matters came to a head in 1931, when the combined effects of overabundant oil supplies on the global markets and the economic destabilization of the Depression, led to fluctuations which drastically reduced annual payments accruing to Iran to a fifth of what it had received in the previous year. In that year APOC informed the Iranian government that its royalties for the year would amount to a mere £366,782 while in the same period the company's income taxes paid to the British Government amounted to approximately £1,000,000. Furthermore, while the company's profits declined 36 percent for the year, the revenues paid to the Iranian government pursuant to the company's accounting practices, decreased by 76 percent. Such a precipitous drop in royalties appeared to confirm suspicions of bad faith, and Teymourtash indicated that the parties would have to revisit negotiations. However, Reza Shah was soon to assert his authority by dramatically inserting himself into the negotiations. The Monarch attended a meeting of the Council of Ministers in November 1932, and after publicly rebuking Teymourtash for his failure to secure an agreement, dictated a letter to cabinet canceling the D'Arcy Agreement. The Iranian Government notified APOC that it would cease further negotiations and demanded cancellation of the D'Arcy concession. Rejecting the cancellation, the British government espoused the claim on behalf of APOC and brought the dispute before the Permanent Court of International Justice at the Hague, asserting that it regarded itself "as entitled to take all such measures as the situation may demand for the Company's protection." At this point, Hassan Taqizadeh, the new Iranian Minister entrusted with the task of assuming responsibility for the oil dossier, was to intimate to the British that the cancellation was simply meant to expedite negotiations and that it would constitute political suicide for Iran to withdraw from negotiations. After the dispute between the two countries was taken up at the Hague, the Czech Foreign Minister, who was appointed mediator, put the matter into abeyance to allow the contending parties to attempt to resolve the dispute. Ironically, Reza Shah who had stood firm in demanding the abolishment of the D'Arcy concession, suddenly acquiesced to British demands, much to the chagrin and disappointment of his Cabinet. A new agreement with the Anglo-Persian Oil Company was agreed to after Sir Cadman visited Iran in April 1933 and was granted a private audience with the Shah. A new agreement was ratified by Majles (Parliament) on May 28, 1933, and received Royal assent the following day. The terms of the new agreement provided for a new 60-year concession. The Agreement reduced the area under APOC control to 100,000 square miles, required annual payments in lieu of Iranian income tax, as well as guaranteeing a minimum annual payment of £750,000 to the Iranian government. These provisions, while appearing favorable, are widely agreed to have represented a squandered opportunity for the Iranian government. The agreement extended the life of the D'Arcy concession by an additional 32 years, negligently allowed APOC to select the best 100,000 square miles, the minimum guaranteed royalty was far too modest, and in a fit of carelessness the company's operations were exempted from import or customs duties. Finally, Iran surrendered its right to annul the agreement, and settled on a complex and tediously elaborate arbitration process to settle any disagreements that would arise. The Anglo-Persian Oil Company continued its large Persian operations although it changed its name to the AIOC in 1935. By 1950, Abadan had become the world's largest refinery. In spite of diversification the AIOC still relied heavily on its Iranian oil fields for three-quarters of its supplies, and controlled all oil in Iran. By 1951 Iranian support for nationalization of the AIOC was intense. Grievances included the small fraction of revenues Iran received. In 1947, for example, AIOC reported after-tax profits of £40 million ($112 million)—and gave Iran just £7 million. Wages were 50 cents a day. There was no vacation pay, no sick leave, no disability compensation. The workers lived in a shanty town called Kaghazabad, or Paper city, without running water or electricity, … In winter the earth flooded and became a flat, perspiring lake. The mud in town was knee-deep, and … when the rains subsided, clouds of nipping, small-winged flies rose from the stagnant water to fill the nostrils…. Summer was worse. … The heat was torrid … sticky and unrelenting—while the wind and sandstorms shipped off the desert hot as a blower. The dwellings of Kaghazabad, cobbled from rusted oil drums hammered flat, turned into sweltering ovens. … In every crevice hung the foul, sulfurous stench of burning oil … in Kaghazad there was nothing—not a tea shop, not a bath, not a single tree. The tiled reflecting pool and shaded central square that were part of every Iranian town, …were missing here. The unpaved alleyways were emporiums for rats. In May of 1949, Britain had offered a "supplemental oil agreement" which guaranteed royalty payments would not drop below £4 million, reduced the area in which it would be allowed to drill, and promised more Iranians would be trained for administrative positions." But it gave Iran no "greater voice in company's management" or right to audit the company books. When the Iranian Prime Minister tried to dicker with AIOC head Sir William Fraser. Fraser "dismissed him" and flew back to UK. In late December of 1950, word reached Tehran that the American-owned Arabian American Oil Company had agreed to share profits with Saudis on a 50-50 basis. The UK Foreign Office rejected the idea of any similar agreement for AIOC. By now expressions of Iranian anger against lack of support for nationalization included a distinct lack of mourning following the assassination of anti-nationalization prime minister Haj Ali Razmara, and a raucous walkout of protest by newspaper reporters when a visiting American diplomat urged "reason as well as enthusiasm" to deal with the British embargo of Iran. In March 1951, the Iranian parliament (the Majlis) voted to nationalize the Anglo-Iranian Oil Company (AIOC) and its holdings, and shortly thereafter elected a widely respected statesman and champion of nationalization, Mohammed Mossaded as Prime Minister. This led to the Abadan Crisis where foreign countries refused to take Iranian oil and the Abadan refinery was closed. AIOC withdrew from Iran and increased output of its other reserves in the Persian Gulf. 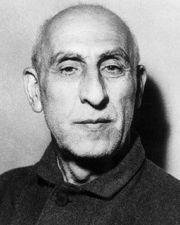 Mossadeq broke off negotiations with AIOC in July 1951 when the latter threatened to pull its employees out of Iran and warned "tanker owners the receipts from the Iranian government would not be accepted on the world market." The British ratcheted up the pressure on the Iranian government and explored the possibility of an invasion to occupy the oil area. U.S. President Harry S. Truman and U.S. ambassador to Iran Henry Grady opposed intervention in Iran but needed Britain's support for the Korean War. Efforts by America and the International Court of Justice were made to settle the dispute, but a 50/50 profit-sharing arrangement, with recognition of nationalization, was rejected by both the British government and Prime Minister Mossadeq. As the months went on the crisis became more acute. By mid-1952 an attempt by the Shah to replace Mossadeq had backfired in nationwide riots and Mossadeq returned with even greater power. But at the same time his coalition was "fraying," as Britain’s boycott of Iran eliminated a major source of government revenue and made Iranians "poorer and unhappier by the day." By 1953, both the U.S. and the UK both had new, more conservative, more anti-communist and more interventionist administrations. America no longer opposed intervention in Iran. Britain was unable to subvert Mossadeq as its embassy and officials had been evicted from Iran in October of 1952, but successfully appealed to American anti-communist sentiments, depicting both Mossadeq and Iran as unstable and likely to fall to communism in their weakened state. If Iran fell, the "enormous assets" of "Iranian oil production and reserves" would fall into Communist control, as would "in short order the other areas of the Middle East". In August the American CIA with the help of bribes to politicians, soldiers, mobs, and newspapers, and contacts/information from the British embassy and secret service, organized a coup. Mossadeq was overthrown, and the pro-Western Shah Mohammad Reza Pahlavi restored. After the regime change the Iranian oil started flowing again and the Anglo-Iranian Oil Company, which later changed its name to British Petroleum, tried to return to its old position. However "public opinion was so opposed that the new government could not permit it." Instead an international consortium under the nationalized name (National Iranian Oil Company) was created, the Anglo-Iranian Oil Company being just one member and holding 40 percent of the shares. The consortium agreed to share profits on a 50-50 basis with Iran, "but not to open its books to Iranian auditors or to allow Iranians onto its board of directors." Shale oil production in Scotland ceased in the early 1960s but there was an unsuccessful attempt to revive it in 1973. The company still exists but is no longer in the shale oil business. Map of Iran showing Russian and British spheres agreed im 1907. European interference in and exploitation of Iran's oil reserves began as part of the "great game" between Great Britain and Russia. The two powers were rivals in the region, which Britain regarded as strategically important to protect her route to India. For Russia, the region offered access to the southern seas. The Qajars ran up their debt due to a combination of incompetence and the desire to fund their lifestyles. Open to European technology, education, and to the development of democratic institutions, however, they were also interested in an alliance with the British. The British were interested in undermining the Ottoman power. 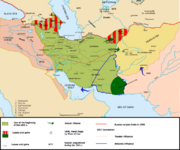 In 1907, Britain and Russia agreed to divide Iran into two spheres of influence, which they more or less controlled. Although not formally a colony and technically independent, there is little doubt that the D'Arcy oil concession compromised Iran's sovereignty. In much of their colonial rhetoric, the British spoke about ruling others for their ultimate benefit. However, the new imperialism policy pursued in such places as China and Iran found ways to gain one-sided concessions that did nothing to benefit anybody other than the British. Other concessions in Iran were added at "knock down prices." After World War II, Iran became a venue for Cold War intrigue. Both the CIA and the KGB were active. The CIA supported the Shah, while the opposition Tudeh party received Soviet aid. The perception that Iran, with a proud historical heritage, was actually ruled by foreigners, hurt national pride. Foreign involvement in Iran, given its strategic location, was inevitable. Iran's subsequent alienation from the West, which owes much to how the Anglo-Iranian Oil Company profited from exploiting Iran's oil over many years, can be attributed in part to the irresponsible way that a "game" was played in other people's territory, with little thought to what the consequences might be. Mohammad Reza Shah said that the Royal Navy and the British Treasury were "run on Iranian oil." He also points out how the promised technology transfer or sharing did not occur, "the company failed to train Iranian technicians and consequently refused to reduce the number of foreign employees; they paid miserable salaries to the Iranians and failed to lodge them decently … in accordance with" the 1933 agreement. The degree to which the continued prosperity of former colonial powers was gained at the cost of others is an issue that a world community of nations committed to justice and a fairer distribution of resources needs to address. ↑ 1.0 1.1 Pahlavi (1980), 46. ↑ 5.0 5.1 Michael Gasson, The BP Archive, Association of Business Historians. Retrieved December 21, 2008. ↑ BBC, From Anglo-Persian Oil to BP Amoco. Retrieved December 21, 2008. ↑ Pahlavi (1980), 70; 52. ↑ Ferrier and Bamberg (1982), 603. ↑ Ferrier and Bamberg (1982), 620. ↑ Harrison M. Wright, The "New Imperialism:" Analysis of Late-Nineteenth-Century Expansion (Lexington, MA: Heath, 1976, ISBN 9780669960082). ↑ Bostock and Jones (1989), 12. ↑ 24.0 24.1 Pahlavi (1980), 94. Abrahamian, Ervand. 1982. Iran Between Two Revolutions. Princeton Studies on the Near East. Princeton, NJ: Princeton University Press. ISBN 9780691053424. Bostock, Frances, and Geoffrey Jones. 1989. Planning and Power in Iran: Ebtehaj and Economic Development Under the Shah. London, UK: F. Cass. ISBN 9780714633381. Farmānfarmāʼiyān, Manūchihr, and Roxane Farmanfarmaian. 1999. Blood and Oil Inside the Shah's Iran. New York, NY: Modern Library. ISBN 9780679440550. Ferrier, R.W., and J. H. Bamberg. 1982. The History of the British Petroleum Company. Cambridge, UK: Cambridge University Press. ISBN 9780521246477. Kinzer, Stephen. 2003. All the Shah's Men: An American Coup and the Roots of Middle East Terror. Hoboken, NJ: J. Wiley & Sons. ISBN 9780471265177. Longhurst, Henry. 1959. Adventure in Oil; the Story of British Petroleum. London, UK: Sidgwick and Jackson. Mohammad Reza Pahlavi. 1980. Answer to History. New York, NY: Stein and Day. ISBN 9780812827552. History of "Anglo-Iranian Oil Company"
This page was last modified on 17 January 2018, at 22:49.